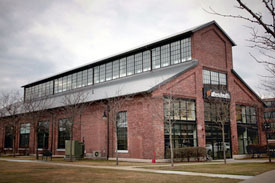 KS Partners continues to expand its portfolio inside 128 with the acquisitions of buildings in Newton and Watertown. Boston Realty Advisors’ suburban team of Adam Meixner, Jeremy Freid, Doug Adamian and Tyler Griffin is looking forward to working with KS Partners on filling the remaining vacancies. The team is expecting to see quite a few tenants being priced out of the Kendall Square submarket in Cambridge and looking for more affordable options just west in Watertown and Newton. 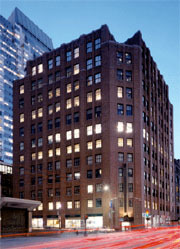 Real Reporter first announced Davis Cos. had both 101 Walnut St. and two Waltham buildings under agreement in August, the latter purchase a separate pact negotiated by HFF involving 303,000 sf at 1025 and 1075 Main St. which were acquired from Gramercy Capital for $52.5 million. 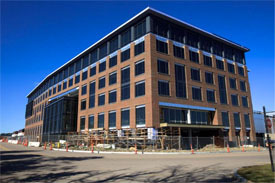 Davis calculates the former Baybanks headquarters now occupied by Bank of America was purchased for half its replacement cost and has badly needed space available in one of suburban Boston’s top business addresses while being close to the city center that has an expanding menu of LWP elements plus a commuter rail connecting to Boston. “We’ve got a quality property with good cash flow and 80,000 square feet to lease in a strong market, so we are very excited by this purchase,” says Davis. 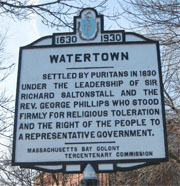 Pleasant Street in Watertown is undergoing rapid change in regards to new construction and the purchase of existing buildings between there and Waltham. It is becoming a hotbed for CRE investors and start-up tech firms are beginning to trickle in from Cambridge because of how competitive the market is. Maybe this trend will continue to push out into Greater Boston and will have a long term effect on Needham and Newton office space? 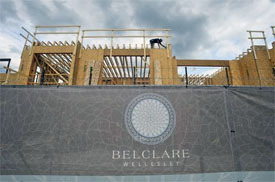 The Wellesley Inn Site, home to a future re-development of Class A residential condominiums, is finally making progress after it has sat vacant for nearly a decade. Maybe this will motivate Ownerships along the Washington Street corridor to capitalize on the “highest and best-use” for their property. 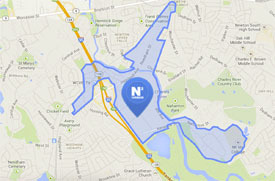 With a future influx of residents coming to the area, perhaps local developers will see the need to build additional office buildings in Wellesley and the strong markets surrounding such as Needham and Newton. Owners and developers across Eastern Massachusetts are seeking to reinvent the suburban office park. In communities such as Waltham, Newton and Needham, developers are adding restaurants, hotels and other amenities to replicate the idea of “live, work, play,” which is an increasing popular attraction in the city. Needham’s soon-to-be largest office tenant, Trip Advisors, will benefit directly from this “live, work, play” attraction. 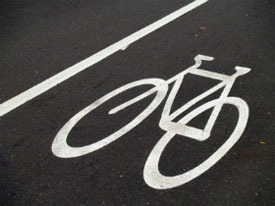 The Town of Needham plans to add bike markers to the shoulder of Greendale Avenue and Kendrick Street, two of the major roads connecting Needham to Newton. In addition, the Town is updating their plans to add Bike paths to the Highland Avenue/Needham Street corridor, ultimately making biking safer for those employees commuting to work via bicycle. Needham and Newton office buildings along the corridor will soon be able to offer their Tenants amenities such as heated bike storage units and bike paths. 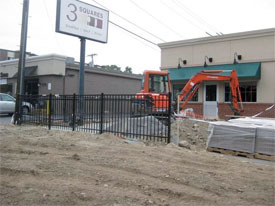 Businesses in Needham and Newton continue to grow as nearby restaurant owners look to add a new outdoor seating area along the Highland Avenue/Needham Street corridor. This is in response to the new office users/businesses throughout the area looking to take advantage of the amenity-rich corridor. You can find the full article, here.